The MB&F Starfleet Machine (YES, STARFLEET!!!) is by far the coolest, geekiest, most awesome clock I have ever seen. I am a huge Trekie. I love Star Trek, as is evidenced by my review of the De Bethune Dream Watch 5. But, this clock… this masterful piece of nerdy goodness from MB&F and L’Epée 1839 takes Star Trek-inspired art to a whole new level. It combines science fiction awesomeness with the out-of-this-world designs (pun unabashedly indended) of Maximilian Büsser and the classical clock-making prowess of his “friends”, in this case L’Epée 1839, Switzerland’s oldest high-end clock manufacture. The result is the single greatest scifi-inspired time-keeping device ever created. Just look at it. Couldn’t you imagine Captain Benjamin Sisko sitting in his quarters within Deep Space 9, enjoying a spicy dish of Bajoran hasperat with Major Kira Nerys checking the time on the MB&F Starfleet Machine clock? Yes, the Star Trek Deep Space 9 TV series ended 15 years ago, but that doesn’t make this clock any less amazing. Alright, I’ve geeked out enough on the Star Trek half of this clock. It’s time to geek out on the horological aspects of the MB&F Starfleet Machine. And, believe you me, there are plenty. The first thing you need to know about the MB&F Starfleet Machine is that it comes in two variants… a “light” edition and a ruthenium-treated “dark” edition. No matter the color, the clock is limited to 175 pieces in honor of L’Epée 1839’s 175th anniversary. There is no confusing the MB&F-designed stainless steel central c-shaped ring and three vertical arcs for anything other than a dead-ringer for the Deep Space 9 space station of Star Trek fame. But, unlike DS9, the center hub inside the stainless steel rings of the MB&F Starfleet Machine supports an in-house clock movement developed by L’Epée 1839. 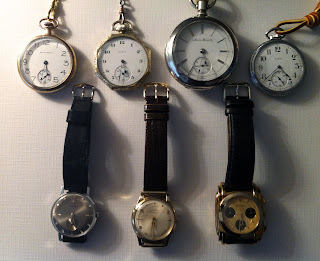 The L’Epée 1839 caliber movement is a doozy. 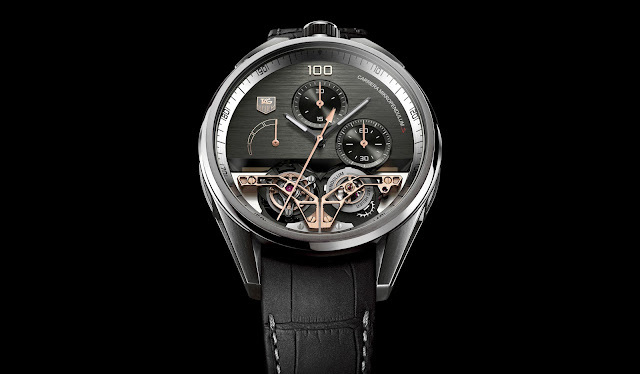 It’s dominated by the MB&F Starfleet Machine’s black aluminum dome emblazoned with white hour and minute markers. Coming out of the domes highest, central point are two “hands” that rotate to indicate the hour a minutes. Under the dome, near the twelve o’clock position are double retrograde seconds “phasers”. Referred to as “turret-mounted laser cannons,” these seconds indicators expand and contract over 40 seconds, giving the perception that they are shooting very, very slowly. A second, smaller dome serves as a power reserve indicator for the five (count ’em, 5) horizontally mounted mainspring barrels. The MB&F Starfleet Machine has a 40-day power reserve and will run +/- 2 minutes over the entire time. A rotating radar dish finishes off the clocks unique little touches. MB&F Starfleet Machine is definitely inspired by Star Trek and by Deep Space 9 in particular, but it’s obvious the designers never watched Star Trek. First, there were no “lasers”. They were outmoded long before Star Trek is set to take place in favor of “phasers”. Also, radar turrets were replaced waaaaaaaay before the Enterprise NCC-1701 ever took its maiden voyage. That being said, the MB&F Starfleet Machine clock is absolutely amazing and for 28,000 Swiss Francs (about $31,756.84) it’s certainly an awesome piece for any Trekie, scifi fan, watch collector or clock aficionado. For more info, visit MB&F’s site and check out the tech specs below. 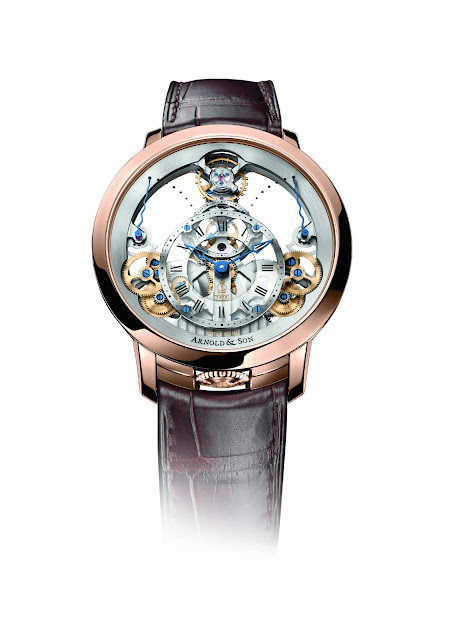 Hours and minutes: Curved, hand-polished hands rotate to indicating hours and minutes on a polished, central dome. The dome features MB&F’s signature numerals. Retrograde seconds: 20-second intervals indicated by double retrograde fly-out cannons emanating from central dome. Power reserve indicator: a dome indicator, framed by a hand finished arc, provides an intuitive view of remaining energy as it turns 270°: 5 bars, 4 bars, 3 bars, 2 bars, 1 bar (1 bar = 8 days). Complemented by a ‘radar dish’ that also revolves 270°.